Seven papers were reviewed to understand the pressures facing parents of children who have to use long-term ventilation at home. 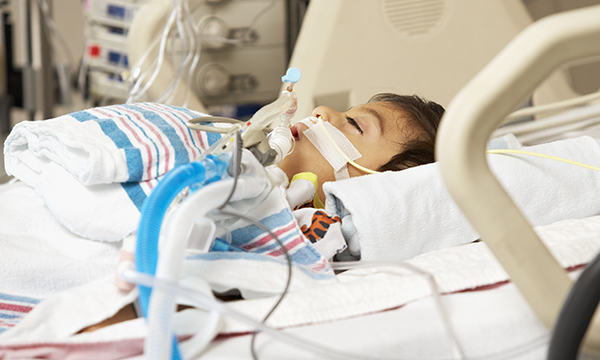 In recent years, the UK and other high-income countries have seen an increase in the use of long-term ventilation (LTV) in paediatric intensive care (Neupane et al 2015). Children who need LTV often end up having an extended stay in hospital of 28 days or more. Government policies advocate that children should be cared for at home (Noyes et al 2006), although medically stable LTV children often stay in hospital months longer than is necessary (NHS England 2015). Previous research has shown that parents of these children develop a dual role – as parent and nurse – leading to role conflict and ambiguity (Hewitt-Taylor 2011). Expertise has transformed relationships between parents and professionals, although few studies have explored this interaction. A literature review was conducted exploring parents’ experiences when caring for LTV children. The Centre for Reviews and Dissemination (2009) guidelines for undertaking literature reviews in healthcare was used. Clear inclusion and exclusion criteria were set. A facet analysis was undertaken identifying key words to use in the search, and Boolean operators were used to combine search terms. The Cumulative Index to Nursing and Allied Health Literature and Medline were searched in July and September 2015 to identify literature about parents’ experiences of role transitions when caring for a child who requires LTV. A hand search of journals and a review of reference lists was used along with a critical appraisal tool (Critical Appraisal Skills Programme 2013) to evaluate the research. Seven papers were identified and reviewed. Key themes and findings were summarised under thematic headings: defining an expert; redefining normality; seeking a sense of control, responsibility in decision making. Parents felt they were expected to take a dual role as parent and carer, but defining the boundaries of each was a struggle. The changes in responsibility led to some parents feeling overwhelmed by the need to make decisions whereas for others it was a positive experience that increased their sense of control and advocacy. Professional expectations of parents often created complications and role negotiations. Although parents reported they wanted to be part of the decision-making process, there is no evidence to suggest that parents wish to take full responsibility for care decisions and they still rely on professionals’ expertise. As a researcher with limited experience I undertook the review which may be considered a limitation, and there were also a small number of papers reviewed. Piloting the search strategy and the hand search allows confidence that relevant research was included. The methodological quality of included studies was variable. Issues with reliability and validity were noted. The included studies were conducted in different countries: Canada, Norway, the UK and the US. Although these countries have variations in healthcare organisation, structure and access to services, the emergent themes were applicable to all the countries, suggesting that the results could be generalised to a wider population. Children who need LTV are medically complex. The provision of children’s LTV services has implications for future healthcare planning. Lack of narrative research has resulted in difficulties establishing the effectiveness of health and social care policies. Policies including the national service framework that covers children with complex health needs (Department of Health 2004) should be re-examined and re-evaluated with consideration from policy makers and healthcare professionals. The evidence suggests that when parents experience a degree of role transition it carries with it positive and negative experiences and challenges. Professionals also need support to help parents identify services that they may require. Centre for Reviews and Dissemination (2009) Systematic Reviews. CRD’s Guidance for Undertaking Reviews in Health Care. Critical Appraisal Skills Programme (2013) CASP Checklists. Department of Health (2004) National Service Framework for Children, Young People and Maternity Services. Disabled Children and Young People and those with Complex Health Needs. Hewitt-Taylor J (2011) Working with Children Who Need Long-term Respiratory Support. M&K Publishing, Cumbria. Neupane B, McFetters M, Johnson E et al (2015) Transitioning children requiring long-term ventilation from hospital to home: a practical guide. Paediatrics and Child Health. 25, 4, 187-191. NHS England (2015) Paediatric Long Term Ventilation. Noyes J, Godfrey C, Beecham J (2006) Resource use and service costs for ventilator-dependent children and young people in the UK. Health and Social Care in the Community. 14, 6, 508-522.